Small Business Saturday is just around the corner, and for shoppers across the country, it means supporting local businesses and taking a day to let them know how much they are appreciated. It’s a day of shopping, sales and an overall emphasis on community as we reflect upon the importance of our local entrepreneurs, who continue to be a driving force in today’s economy. While communities prepare to shop small in a big way, it’s also an opportunity for small businesses to flex their muscles and grow their business. To do so, small businesses need to be prepared for the increase in activity Nov. 24 will bring this year. Here are some tips to help small businesses achieve the greatest possible success this Small Business Saturday. It’s all about who you know. Preparing for Small Business Saturday doesn’t have to just be in the weeks or month ahead; instead, get ready for the big day by cultivating relationships year-round. Tap into social or local networking groups for advice from seasoned entrepreneurs and small business owners for Small Business Saturday and the holiday shopping season ahead. Grab a coffee with other entrepreneurs to run through your plans for the big day with them or brainstorm potential marketing efforts to enhance the day’s success. You may even want to tag team with a second business in your neighborhood to find creative ways to collaborate on sales and special offers to maximize your exposure and help promote fellow small business owners. A day in the life of an entrepreneur is often extremely on-the-go. As a result, a laptop or a mobile device is a critical lifeline for small business owners. A mobile device allows you to foster real-time communication within your team and with your customers no matter where you are. These days, it is extremely important that your customers have real-time access to someone in your company. Research shows that customers spend 20-40% more money with brands that engage and respond to customer service requests directly over social media. Engagement is a very important aspect of building a brand, creating customer community and developing trust between you and your customers. Knowing when and where to reach your audience is critical. Avoid an over-saturated market by honing in on your niche through an event. 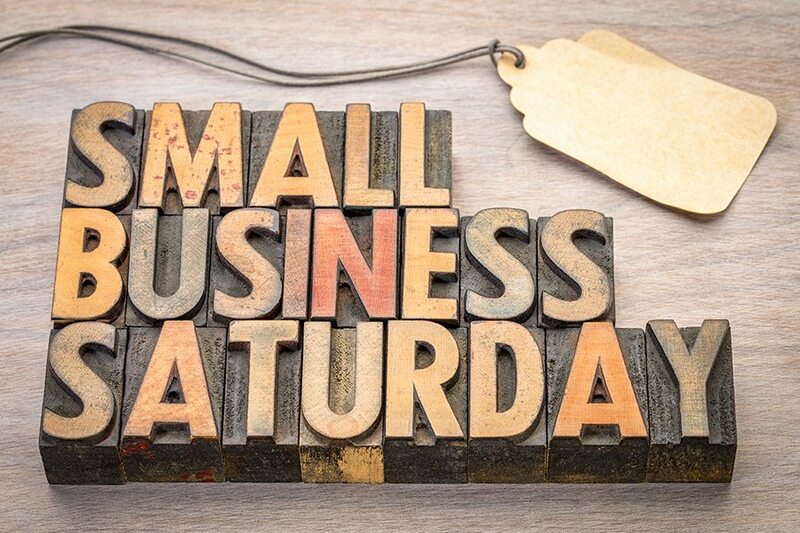 Utilize Small Business Saturday to get to know your potential consumers on a personal level through focusing on building relationships and increasing social engagement. These relationships will help inform what information is of most interest to them so that you may best capture their attention. Don’t be afraid to use in-store promotions or hit the pavement to raise awareness ahead of the event. Small Business Saturday is a great opportunity to get very specific with your goals. Start breaking down long-term goals into conquerable achievements surrounding Small Business Saturday. Craft a timeline that focuses on important milestones in your business that seem challenging yet obtainable. For example, set a benchmark sales goal for the day that is achievable or strive to increase the amount of traffic to your small business. By creating specific goals, you and your employees can stay on track and feel accomplished at the end of the day. Bolster your presence on social media by creating compelling content and building up your following. Use multiple social platforms such as Instagram, Twitter, Facebook and Snapchat to connect with different audiences within the local community, share news and communicate with potential customers. Take advantage of free online social media marketing courses and analytics programs that will help you increase your brand credibility, awareness and appeal. You can also drive traffic by offering giveaways or deals that enhance social engagement and expand your reach. Also, don’t forget to use unique hashtags, especially during Small Business Saturday, to track success and to tag your business location for more visibility and to see how clients and potential clients are reacting to your products.